Calf Shed Talks is new addition to this year’s Dairy Day on 20 November in Punchestown Event Centre. Keeping the calves' bed as dry as posssible will go a long way to preventing a build-up of moisture. A good floor slope should be able to direct moisture to collection channels. As well as taking a close look at ventilation requirements for new and existing calf sheds on the day, the Irish Farmers Journal specialist team will be discussing key aspects to be conscious of when designing your shed. One area that is often forgotten about when it comes to calf sheds is floor slope and drainage. However, they are some of the main reasons why converting an existing shed into calf accommodation may not work. 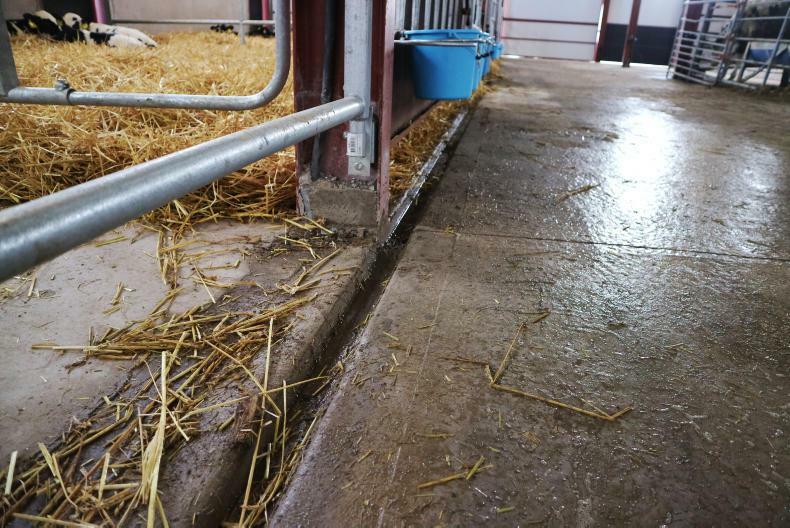 The aim with any good design should be to prevent a build-up of moisture in calf pens, which can be achieved through a combination of good drainage and effective ventilation. However, using enough straw obviously has a vital role to play. Having a high level of moisture in bedding will greatly increase the risk of a virus surviving or bacteria developing. There is also a greater risk of dirty water spreading infection. Poor drainage will also lead to an increase in the requirement of straw for the shed. Wet bedding will reduce the temperature of the bedding. 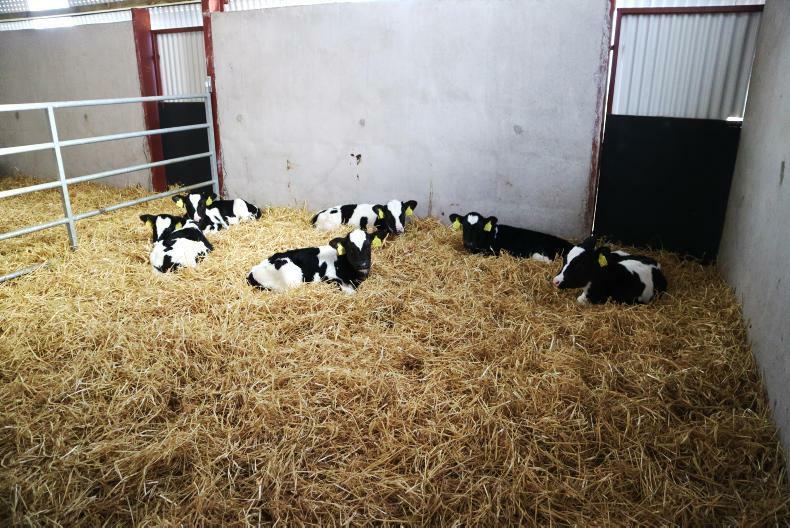 With young calves comfortable at a temperature of 10°C to 20°C, wet bedding means calves will have to cope with lower temperatures, which can lead to them becoming more stressed. This acts to increase the incidences of pneumonia developing. Low temperatures within a shed will be exacerbated where the bedding is wet or where there is a draught in the shed. Where straw is used, there should be a floor slope of 1:20. The slope must be able to cope with moisture and direct it towards drainage channels. One option that will be examined is to leave a solid area in the pen where calves feed, using a board to prevent straw from encroaching on this area. This is where a large proportion of soiling would occur and could greatly reduce straw usage within the pen. Cleaning this solid area daily could be a very effective way of reducing bacterial build-up within your calf shed. Floor slope comes even more into focus around automatic milk feeders to cope with the higher level of urine and dung produced in such a small area.